Alongside the highest level of insurance as standard, all projects carried out under a London Basement ‘Form of Building Contract’ are subject to a six month defects liability period. In addition, any mechanical and electrical installations carried out by London Basement are guaranteed for one year. London Basement is an approved installer of most waterproofing systems and a member of the British Structural Waterproofing Association, although the company almost exclusively chooses to use the Delta Cavity Drainage Membrane system, considered by many to be the best product on the market and it carries a 30 year product guarantee. 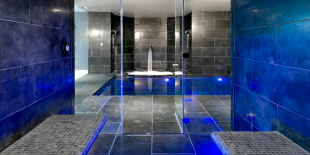 We also provide a 10 year company guarantee on the waterproofing installation. A 12 year insurance-backed latent defect cover is offered in respect of structural works. London Basement only employs Gas Safe registered plumbers and NICEIC registered electricians, ensuring that all works are certified. On completion of all basement works, London Basement will provide an operating and maintenance manual for the works, containing ‘as built’ drawings, copies of the Local Authority consents, instruction booklets and relevant guarantees. 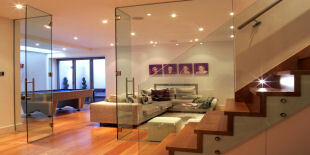 London Basement carries the very highest level of insurance, details available upon request. London Basement views matters of health and safety as of the utmost importance; if the job is not done safely then it is not done effectively. To achieve this goal we use a specialist Health and Safety company to oversee the safety of all our projects. All of our company sites are regularly audited to ensure the sites comply with every relevant health and safety acts and regulations. London Basement’s commitment to training is no better demonstrated than having successfully qualified 35 underpinners to NVQ Level II standard; believed to be an industry first. The company also regularly sends the project management and site employees on specific training courses, such as the SMSTS course (Site Management Safety Training Scheme), which 30 key personnel attended at the beginning of this year.